Wednesday and Friday classes will be cancelled as of Friday, December 21, 2018. Classes will resume on Wed., January 9, 2019. NOTE: Tuesday evening Yoga is cancelled indefinitely. 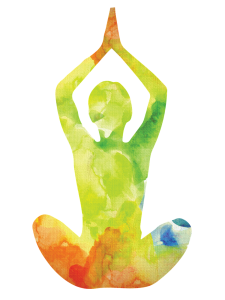 Mindful Yoga is offered: Wednesday morning at 10:15 AM, on Friday morning at 11:30 AM. Mindful Yoga is drawn from many yogic traditions and can be defined as a spiritual practice. Mindful Yoga offers a way to awaken to the peaceful presence within. By practicing the various postures, breath, mundras, mantras and mindful intention, a raising up of consciousness can be experienced. Chair Yoga can be practiced by modifying the postures while being seated, receiving the same benefits as the regular Mindful Yoga experience. Yoga Instructor: Nancy Hume has been teaching dance and movement awareness since the 1960s. As more and more yoga and eastern thought came to America, Nancy became increasingly interested in the body/mind connection and the tremendous healing potential therein. Over the years her own practice along with meditation has become the foundation of her life’s journey.